Martin Shkreli defended his constitutional right not to assist a Congressional investigation after a senator lashed out against him on Twitter. Republican Susan Collins tweeted Wednesday that Shkreli's choice to invoke the Fifth Amendment is akin to stonewalling Congress' investigation. Collins chairs the Senate Committee on Aging, which is investigating why the former pharmaceutical CEO's company raised the price of a drug used by AIDS patients by 5,000%. Shkreli vehemently defended his right to invoke the Fifth Amendment. "I have valid justification. Are you serious? I have constitutional rights. No wonder trust in the US Government is at a low," Shkreli said." @SenatorCollins I have valid justification. Are you serious? I have constitutional rights. No wonder trust in the US Government is at a low. The exchange follows earlier tweets that Shkreli sent Wednesday, showing a photo of a separate subpoena to appear before a January 26 House oversight committee hearing about "developments in the prescription drug market." Before tweeting about the hearing, Shkreli had posted that the House was "busy whining" to journalists about him appearing before them for a "chit chat." He pondered whether he should attend. Shkreli directed the tweet at Rep. Elijah Cummings, a Democrat who is the ranking member of the House committee that subpoenaed him. "I have been trying for the better part of a year to get information from Martin Shkreli about his outrageous price increases and he has obstructed our investigation at every turn," Cummings said in a statement on Wednesday. "He claims publicly that he wants to explain to Congress how drug pricing works. On Tuesday, he will get his chance." Shkreli is also in the midst of a federal criminal case for alleged securities fraud. He recently filed to replace his attorneys and asked for a two-week delay to prepare for the trial with his new representation. 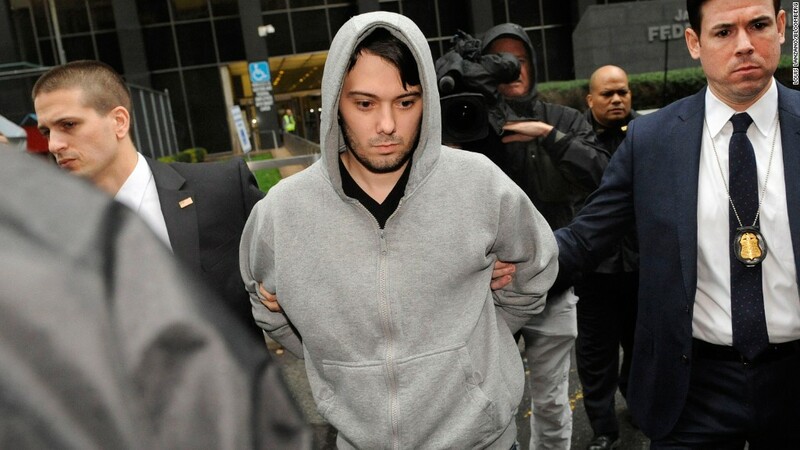 Shkreli was arrested in December but secured bail with a $45 million E*Trade account. He was the subject of intense public outrage after the drug-price hike but seems to have rebounded by taking to YouTube to livestream his life. He's definitely keeping his calendar full while awaiting trial. He also had a busy 2015 -- he was forced to resign from Turing Pharmaceuticals after the drug hike scandal and he was fired from a second company: KaloBios. That company was eventually forced to file for bankruptcy. Calls to Shkreli and one of his attorneys were not immediately returned.